January, 1920. 350,000 French soldiers remain missing in action. Major Dellaplane tirelessly matches the dead and the wounded with families' descriptions. Honor and ethics drive him, he hates the idea of "the unknown soldier." Into his sector, looking for her husband, comes a haughty, politically connected Parisian, Madame Ir�ne de Courtil. Brusquely, Dellaplane offers her 1/350,000th of his time, but as their paths cross and she sees his courage and resolve, feelings change. After he finds a surprising connection between her missing husband and a local teacher, Ir�ne makes Dellaplane an offer. This man of action hesitates: has he missed his only chance? 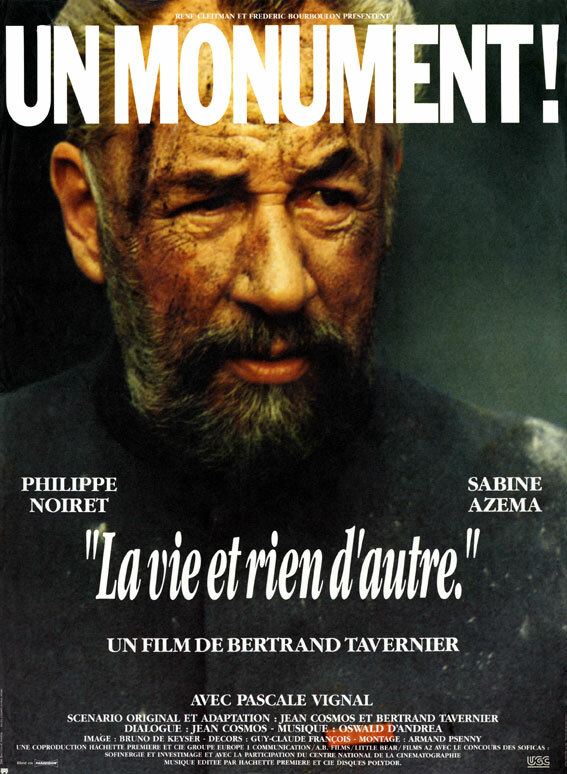 Impressive visually, but, grim, slow, and unsatisfying., 11 June 2000 Author: jameswtravers (jameswtravers@netscapeonline.co.uk) from London, England This is a powerful film with a genuinely epic feel. The backdrop of a post-war battle field is movingly sombre, with sets scattered with the last remains of soldiers, some hastily dug graves, and hoards of women mourning the loss of husbands and sons. 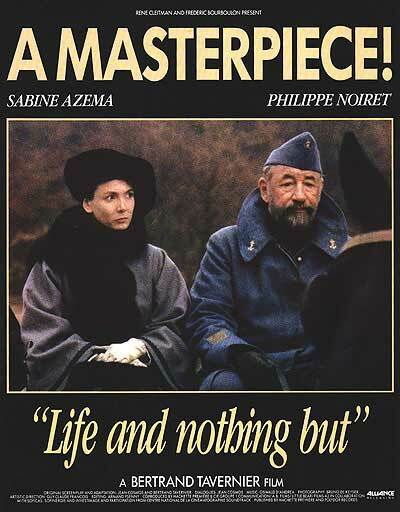 There is no sense of victory or joy after the war, and its central character, Delaplane - brilliantly played by Philippe Noiret - portrays the mood of grim realism of what the war has done to his country and to his life. Unfortunately, the film is let down by a somewhat feeble love story involving Delaplane which has an unsatisfactory and unconvincing resolution. At way over two hours in length, the lack of a substantial central plot is more than noticeable. 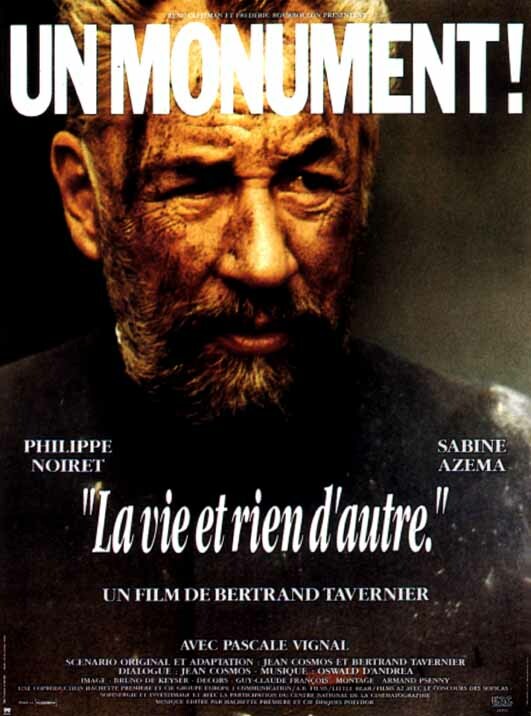 Towards the end, the film becomes slow and almost boring, despite some impressive visual images. It is almost as if the grimness of the subject matter has completely overwhelmed the film. However, considering how grim the subject matter is, that is hardly surprising.